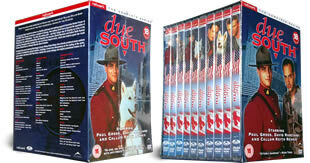 Due South DVD box set. 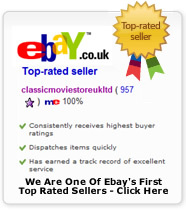 Contains the complete episodes and series on 18 dvd's DELIVERED FREE IN THE UK. This 18 disc box set contains every episode ever made of Due South the story/comedy of life in the big city for a Canadian mountie Benton Fraser. Described as a police comedy drama Fraser is remembered for his famous line 'thank you kindly'. 18 DVD Box Set delivered to your door. Absolutely thrilled to be able to watch one of my favourite TV shows again, thank you classic movie store. bought this for my fiance, he's never been happier, although i have lost all tv rights. fab show, fab price! One of the best programmes that ever graced our screens. They just don't make them like they use to.